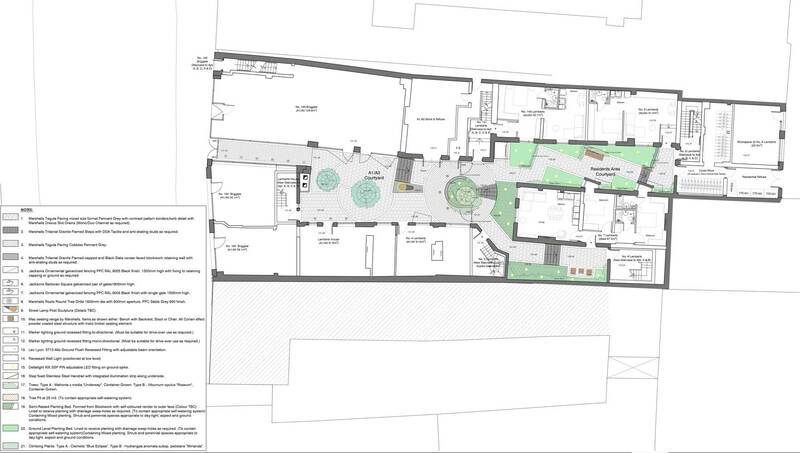 The scheme through a blend of uses seeks to rejuvenate Lamberts Yard into a place to work, play and live. This harks back to the historic nature of the Yard, where commercial and domestic uses sat side by side. 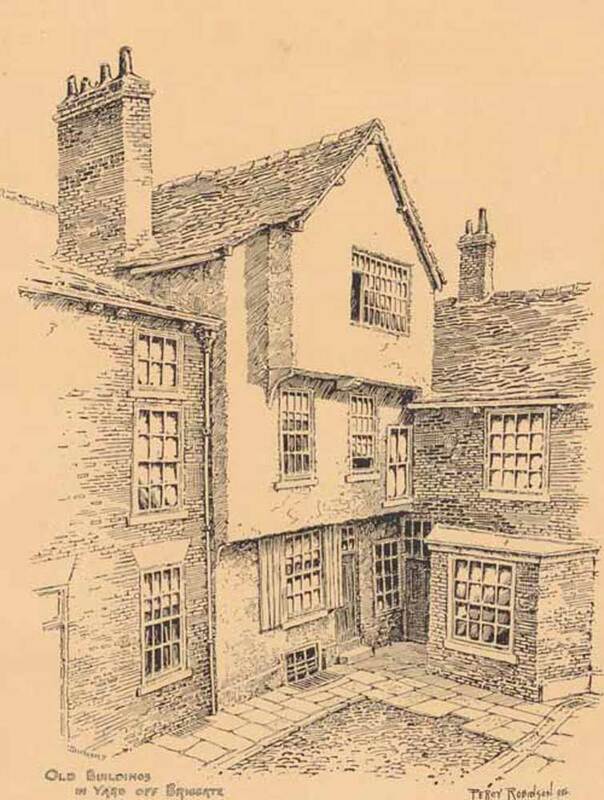 Importantly the scheme proposes the renovation of Lamberts House, the only remaining Elizabethan timber framed property in the City dating back to circa 1600. 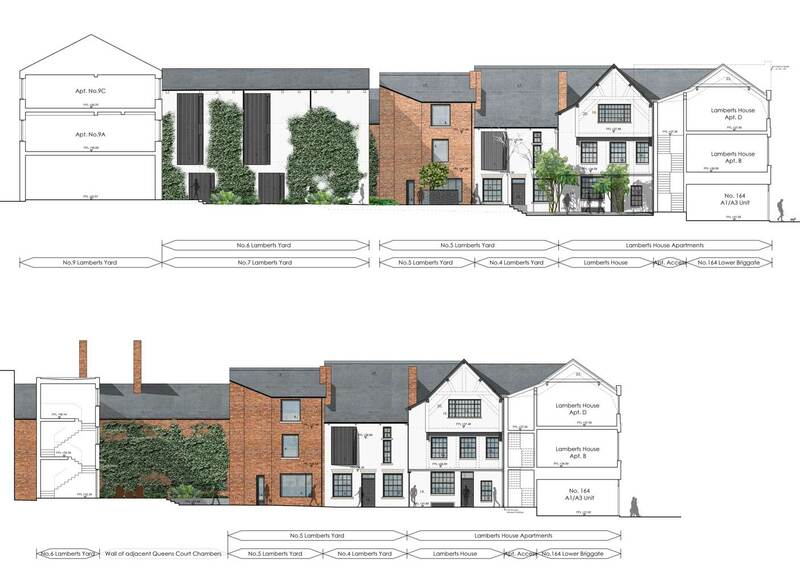 The proposals seek to retain the existing elements of Lamberts Yard that have proven successful and sustainable, whilst introducing residential apartments to secure a long-term use for the buildings or parts of buildings that have remained vacant or only partially successful. 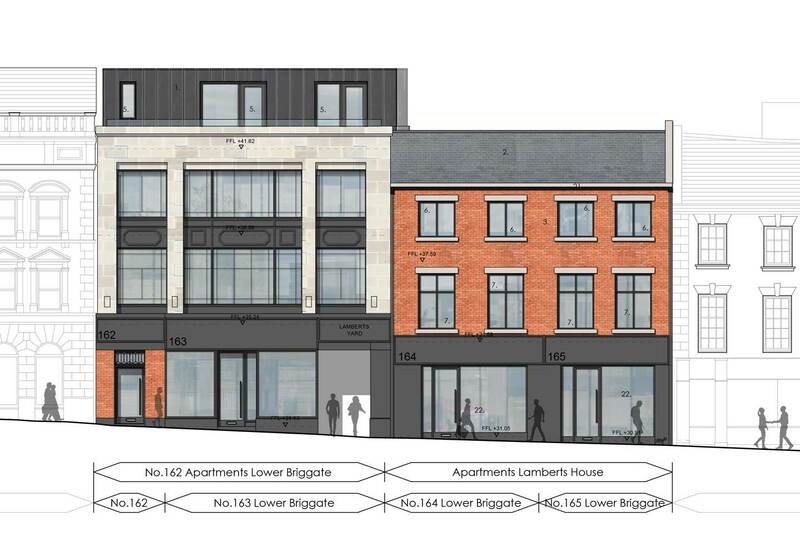 The proposals retain the retail and leisure units occupying the ground and basement floors of No.163, 164 and 165 Lower Briggate. With minor alterations for staircases and improved access. Further to this the ground floors of Lamberts House and No.4 Lamberts Yard are to be renovated for A1 or A3 use, keeping the front portion of yard area for commercial occupation, and therefore accessible to the public. The rear yard area is reserved for residents only, offering a private garden for the amenity of tenants. 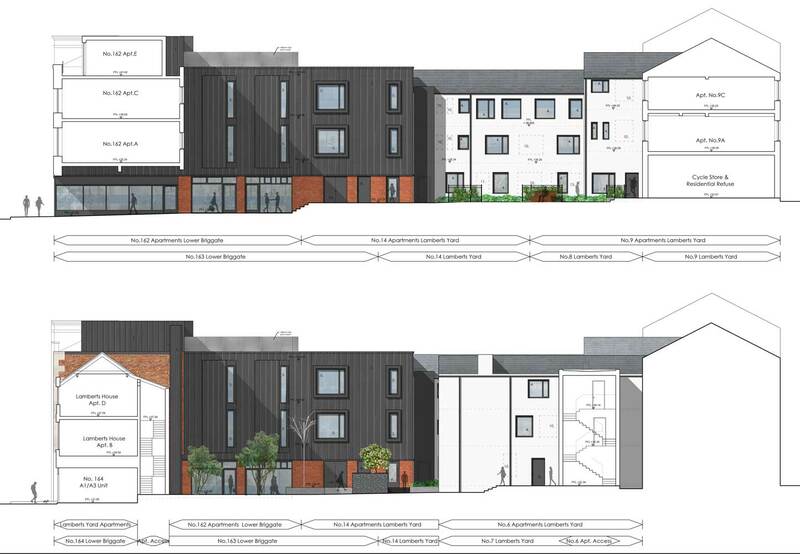 The apartments are a mix of studio, 1 and 2 beds with some accessed from shared stairways and others from private entrances directly from the gardens or public realm.